Habitat: Red Stumpnose are a cooler water species and they stick to places of strong cold currents. 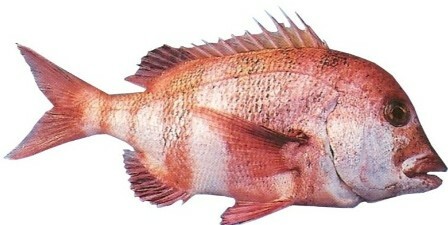 Distribution: This fish has a limited distribution, occurring from the Cape to East London. Bait: Sea urchins, crabs and small fish will make good bait. Fishing Strategy: Red Stumpnose are shy fish and you will have to concentrate to know when the bait is being pulled. Eating Quality: The flesh is soft, juicy and very tasty. When braaied it tastes like rock lobster.